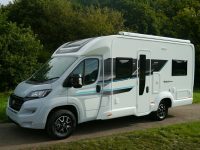 The Swift Spirit 664 motorhome has 4 travelling seats with 3 point seatbelts and 2 double beds one of which is fixed at the rear of the motorhome. 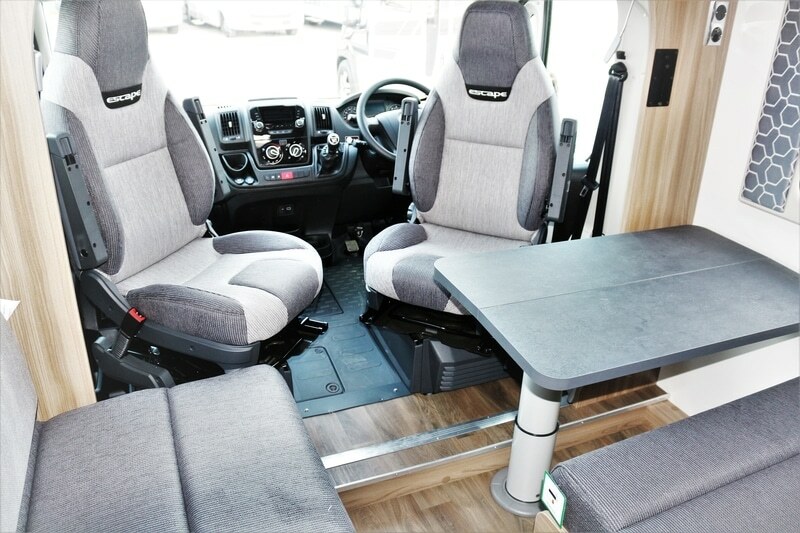 The front seats swivel to face the passengers. 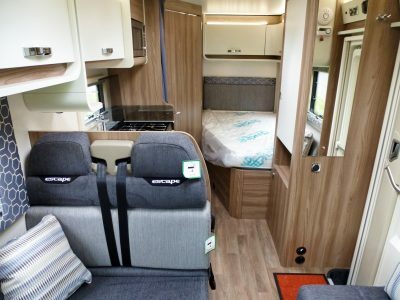 There is a fixed double bed in the back, with lots of cupboard space and a closet for clothes storage. The front dining area and sofa make another double bed at night to accommodate 4 people.